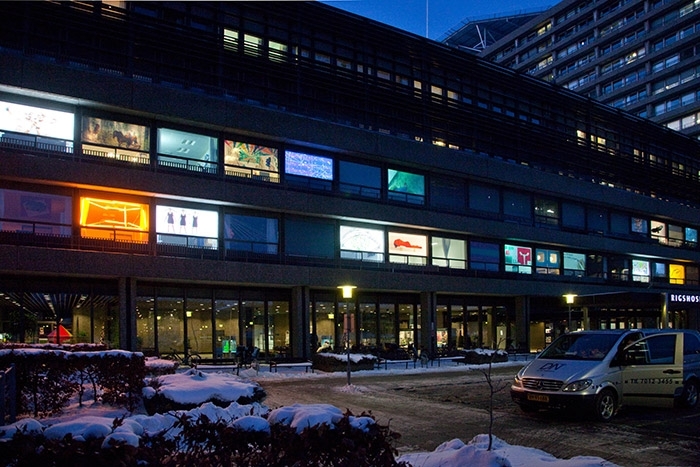 The video "Fra fødder til hoved" (from feet to head), 2010/2011, was shown on two occations: as part of the exhibition "A pedibus usque ad caput" formed as an Advent Calendar shown in 24 windows at the front of the main hospital Rigshospitalet 2010 and on BYOB Copenhagen 2011. 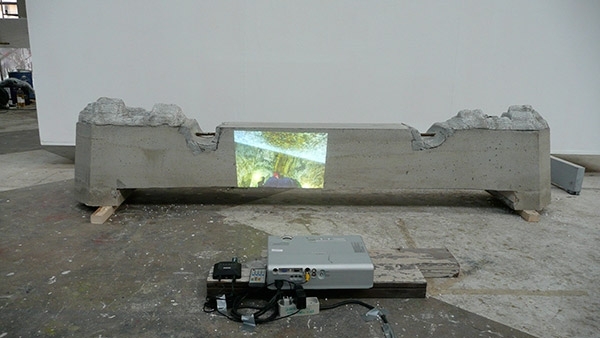 The video features a person walking inside the hospital, filmet from above, showing the two feet walking, stopping for a while, then walking on, through the hospital corridor. The video so to speak records the walk, the small incidents, tempo shifts etc. during the short trip. Focus is on the walking. On repetition and movement. Under normal circumstances we don´t think about it. But it is a complex combination between head and feet that makes us able to walk.